I’ll admit it, I never knew what a Maybach was until I heard it in a rap song. So, thank you Jay-Z or Rick Ross or whichever one of the Cristal-pouring, yacht-cruising glitterati members that put me on game. Through the years its come to represent the pinnacle of luxury saloons. It’s essentially Mercedes’ version of a Rolls-Royce. An ultra-sheik, exclusive luxury moniker that sets it apart from more pedestrian models. Mercedes offered a glimpse at its newest version of the absolute top-of-the-range model, the Mercedes-Maybach Pullman. Today marks the first day that orders will start for the new limousine. At over 21 feet its probably longer than your buddy's Bayliner boat. 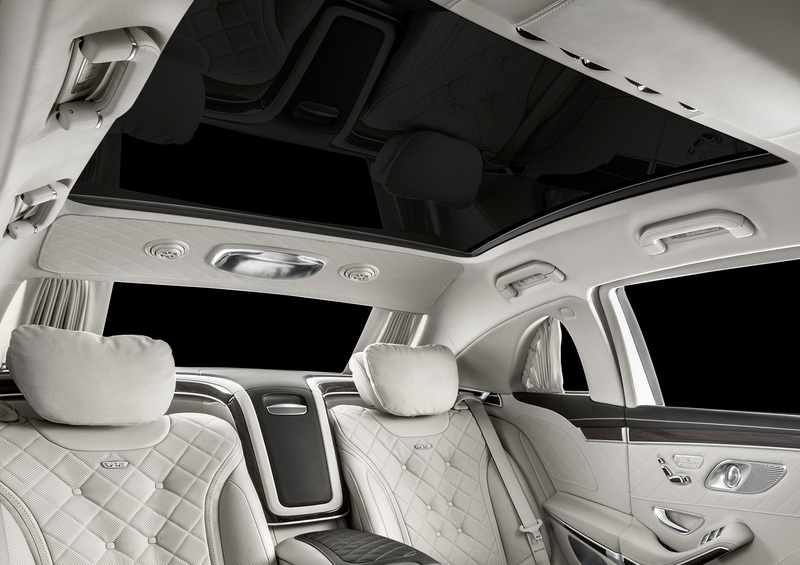 This is more than just a stretched-out S-Class as the interior is basically a club lounge. Two executive forward-facing seats in the back offer up the largest legroom in the segment. Two more rear-facing seats offer up comfort for four in the back, isolated from the driver with an electrically operated partition. In case you’re the ultimate backseat driver, there’s a front-view camera so rear passengers can monitor the traffic up front even when the partition screen is closed. The Mercedes-Maybach Pullman is powered by a 630-horsepower twin-turbo V-12 pumping out 737 pound-feet of torque. Of course, you need that power when you’re talking about a beast that weighs over 10,000 pounds. To give you some perspective, the Mercedes AMG S65 comes in at a comparably skinny 4,960 pounds. Upfront the Pullman features a new grille with fine, vertical struts. Mercedes says the grill was inspired by a pinstriped suit. It’s borrowed from the Vision Mercedes-Maybach 6 Coupe Concept Car which debuted in 2016. Adorning the wheels are 20-inch 10-hole designed rims that we’ve come to expect on a Mercedes-Maybach. 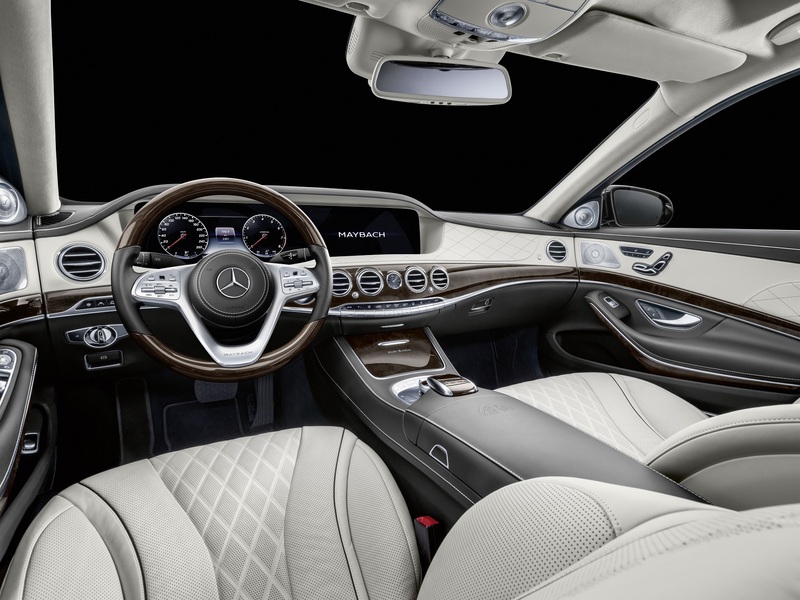 The exterior can be painted with any of the two-tone finishes available in the S-Class. For the interior, magma grey, mahogany brown and silk beige/deep sea blue are available as exclusives for the Pullman. If you’re in the market for a new limo and have $615,000-plus lying around, the Pullman is worth a look. Some say the priciest S-Class is unnecessarily excessive. They'd be wrong.